Bringing in the New Year is one of the most exciting activities that you can do in a big city, and Washington DC is one of the best to do this in. There are a lot of different things to get involved in and the city comes alive to celebrate the passing of the old year and the beginning of the new. Some people prefer to get away from the city at New Year and a cruise on the Potomac River could be right up your alley. Those who go on these cruises will be treated to fantastic sights of the city and the various landmarks that it contains. This sneak peek of the city is complimented by wining and dining for attendees, perfect to celebrate the evening with. This is ideal for couples or groups as the cruise can have a romantic or party atmosphere, depending on those on board. Few things are as captivating or as amazing as the capital city at night and you can see all of the highlights with one of our tours. The 2.5 hour DC Night Tour runs on the 31st of December all the way up until 10pm at night. This is a fantastic way to do something different on the big day and learn more about the history of landmarks that we tend to take for granted. If you’re in town visiting relatives for New Year then this can be a brilliant activity for locals and visitors alike. Fireworks and New Year go hand in hand, so naturally there are a lot of these types of celebrations near this major city. Locals and tourists come out in full force to see these displays and you might even see a celebrity or two. 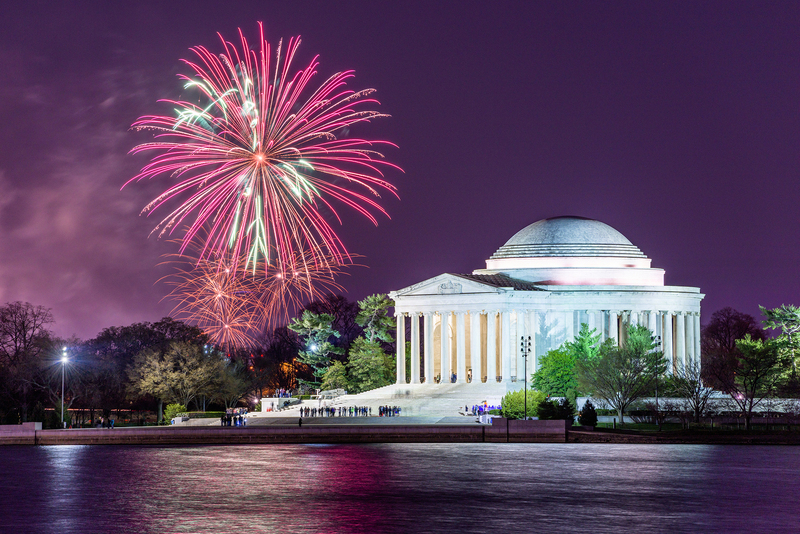 If you want to celebrate early in a family friendly environment then you can head to Old Town Alexandria for their earlier fireworks display. This begins at 7.30pm and is an alcohol free event, so it’s great to take kids to. They also have a later, more adult version of proceedings at 10pm which children are still welcome to but there will be drinks served at this time. Alongside the fireworks there are also nearly 200 live performers dotted around the area that attendees can wander around. This time of year sees performers come out in full force to entertain those visiting the city. A Jazz New Year’s Eve is a must see for all those in the area, as these performers are second to none. This concert takes place at the Kennedy Center and features more than a few notable names. This year’s gig marks the 100 year birthday of Frank Sinatra and features Diane Schuur performing some of his best hits. This is a great activity for fans of jazz and newbies to the scene alike as it promises a night of chilled out hits and excellent songs.